Iran’s President Hassan Rouhani has denounced a US “psychological war” while assuring that his Government will deal with the country’s economic problems. 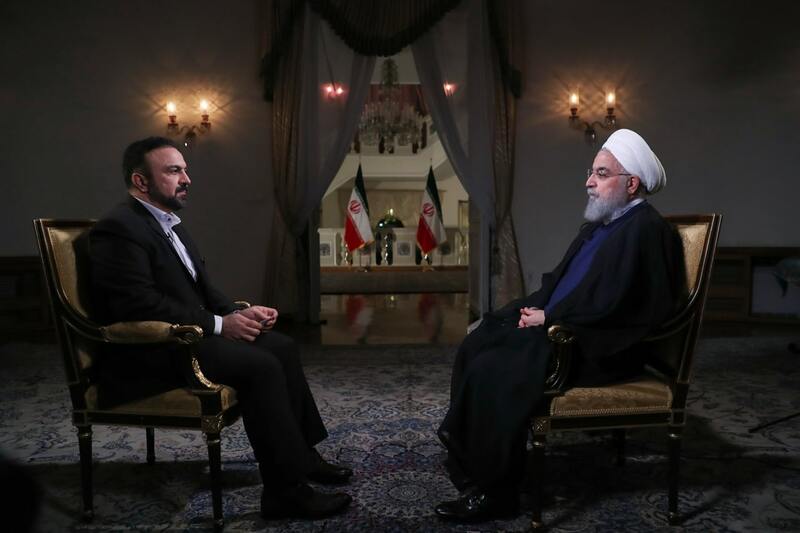 Rouhani addressed the nation in an interview on State TV on Monday night, as the Trump Administration implemented the first phase of sweeping sanctions against the Islamic Republic. Monday’s restrictions, part of Donald Trump’s order in May withdrawing the US from the 2015 nuclear agreement, included a block on Iran’s access to US dollars; sanctions on the auto industry, software, metals, sales of aircrafts, and gold transfers; and a ban on American imports of Iranian products such as pistachios and carpets. The person who is claiming to be willing to negotiate today, has withdrawn from all international commitments from the Paris Agreement [on climate change] to its business commitments with other countries. If somebody puts a knife in its opponent or enemy’s arm and says we want to negotiate, the answer is that they must first pull out the knife and then come to the negotiation table. While focusing on the sanctions, Rouhani also acknowledged the internal problems that have crippled Iran’s production and investment and reduced the value of its currency by about 55% since January. He spoke of “structural and chronic” issues in the banking system and said Government measures will rectify the fall of the rial, now at 92,000:1 vs. the US dollar. He announced new foreign exchange measures, effectively abandoning the unified rate of 42,000:1 declared by the Government this spring. The Central Bank will now maintain the discounted rate of 42,000:1 for importers, exporters, and travellers, while intervening over the open-market rate. Steps include lifting limits on foreign currency brought into Iran, while encouraging people to put it in Iranian banks. The rial was already at an all-time low of about 45,000:1 early this year before its plunge. It reached 119,000:1 vs. the dollar last week before the announcement of Government steps brought a recovery. Previous Government attempts to stabilize it — including raising interest rates on savings, changing the reporting currency to the Euro, and arresting unofficial currency dealers — have soon failed. While the European Union is opposed to the US departure from the nuclear deal and the sanctions, it has been limited in the protection it can give large companies from American punishment. As a result, leading firms such as France’s energy giant Total, French auto manufacturer PSA and aircraft supplier Airbus, Germany’s Siemens, and the world’s leader in shipping containers Maersk have suspended business with the Islamic Republic. On Tuesday, German carmaker Daimler said it is abandoning plans to expand its Iran business. “We have ceased our already restricted activities in Iran in accordance with the applicable sanctions,” Daimler said in a statement.